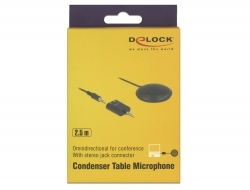 This table microphone by Delock is suitable for use in conferences. 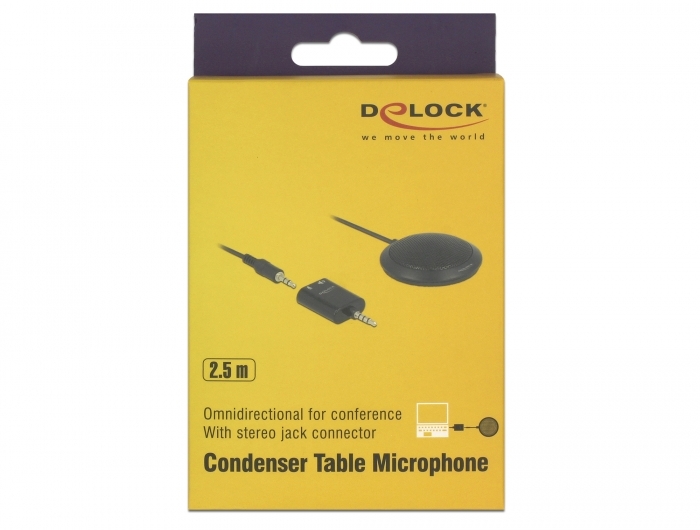 The omnidirectional and cone-shaped directivity ensures that the sound is optimally captured and therefore has a high range and is ideal for recording interviews, conferences, lectures, etc. 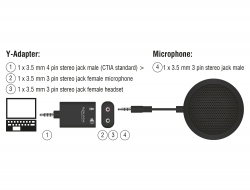 It can be connected to any PC or laptop via the 3 pin stereo jack connector. 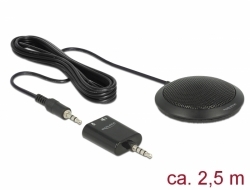 The 4 pin Y-adapter included in the delivery also allows connection to a tablet or smartphone.